Why choose a Commercial Roofing Contractor? We are trusted commercial roofing contractors that will help you out with any project you need. Our contractors are quick, efficient and handle every project with care. We’ve been servicing the Central Kentucky area with its commercial roofing needs for more than 22 years, and we take pride in what we do. Why choose a Residential Roofing Contractor? Hiring a roofing contractor will provide you with an experienced professional who is insured. This is an incredibly important asset to have when you are having a roof installed. Let Superior Home Improvements, serving all of central Kentucky, show you how to spot heat loss in your home. Which Do You Need: Wood or Metal Roofing? 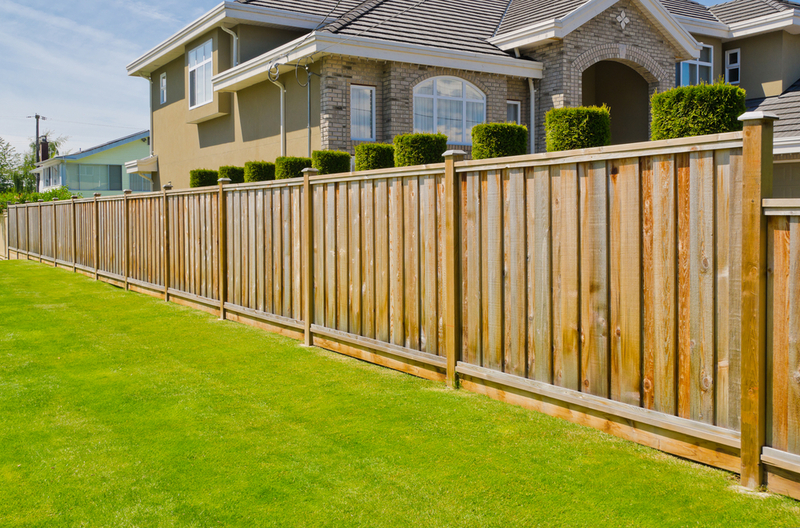 Let superior Home Improvements of Lexington, Kentucky, help you determine which type of fencing material is best for your needs. 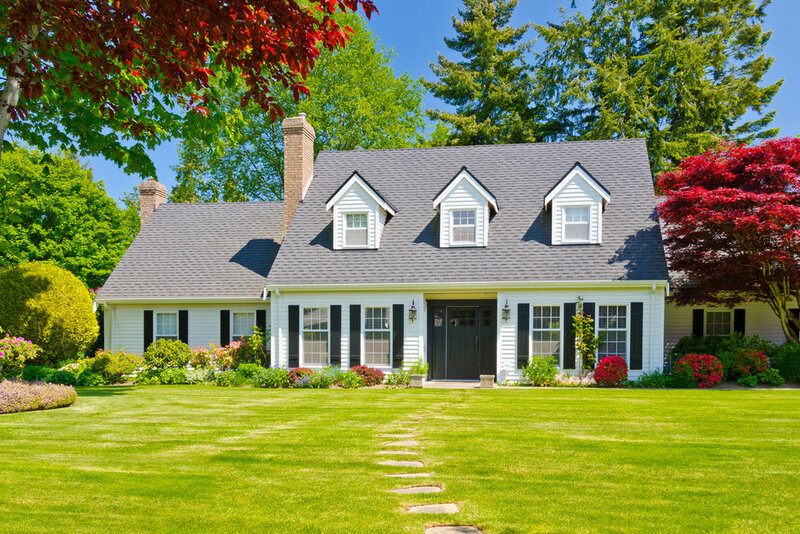 If you’re considering selling your home, remodeling your home or simply adding to your home’s curb appeal, a new roof probably isn’t the first idea that springs to mind. Believe it or not, installing a new roof might give you the most bang for your buck. Read on to learn how a new roof can improve curb appeal, increase resale value and help cut your home cooling costs. First impressions are important when selling your home and the look of a new roof can have quite an impact. An advantage of replacing your roof is your ability to choose more attractive (and durable) shingles. These new shingles will be more aesthetically pleasing to the eye right away, especially from the street or in pictures. Installing a new roof can also turn out to be the smartest investment in your home when you decide to sell. A study by the National Organization of Realtors states that the re-turn on investment of a new roof is very high, with an average rate of 71.6% . If you are selling your home, a roof that has been recently re-placed suggests that the current owners took very good care of the property, making a great first impression on potential homebuyers. This can give you an edge in a sluggish seller’s market. According to the Federal Trade Commission, nearly half of the money a family spends on utility bills goes to home heating and cooling costs. Your roof is your first and best line of defense against rising home ener-gy costs. Older, poorly insulated roofs can let in too much heat during the summer months, causing your air conditioning unit to work overtime. Aging roofs can also allow too much heat to escape during the winter, resulting in astronomical heating costs. Spending money now on an en-ergy-efficient roof can help keep your home cooler in the summer, warmer in the winter and cut these costs for years to come. Not only will a new roof enhance the curb appeal of your home, it can al-so ensure that the heavy investment you’ve made in your home stays safe and secure. Leaks in your roof that allow water into your home, causing damage to your attic, ceiling, walls, insulation and even the home’s framework, will almost always result in serious damage that can be expensive, difficult to repair and frustrating to deal with. It’s important to protect your home’s value as well as all its contents. In the past, war-ranties on roofs generally only lasted 5, 10, or 15 years at most. With ad-vances in materials and modern roofing techniques, depending on the materials you choose for your roof, warranties are now lasting up to 50 years, so chances are after you upgrade your roof, you’ll never have to do it again. So if it’s time and funds to replace your roof, don’t wait until you see signs of damage. Go ahead and invest in a high quality, energy efficient roof that will protect your home and your investment for years to come. If you are considering installing a new roof or are in need of roof repair, contact Superior Home Improvements. We’ve been serving Lexington, Kentucky and the Greater Kentucky area since 1991. Superior Home Improvements provides premier home remodeling services and our spe-cialties include roofing, insulation and much more. We have an A+ from the Better Business Bureau and we look forward to serving you. Superior Home Improvements of Central Kentucky tells you how remodeling can raise the value of your home and beautify it as well. Many homeowners are uninformed about just how important gutters are for a home. If you want to avoid costly and inconvenient repairs on your home, having gutters that fit and work properly are necessary. Our home improvement experts share how to save energy by insulating your home in Lexington, Kentucky for walls, floors, attics, insulated air ducts & more. Our roofing experts in Winchester, Kentucky review how to inspect your roof for wind damage after a storm like checking shingles and for leaks in the roof.